Thanks to Caroline for taking all the pics! 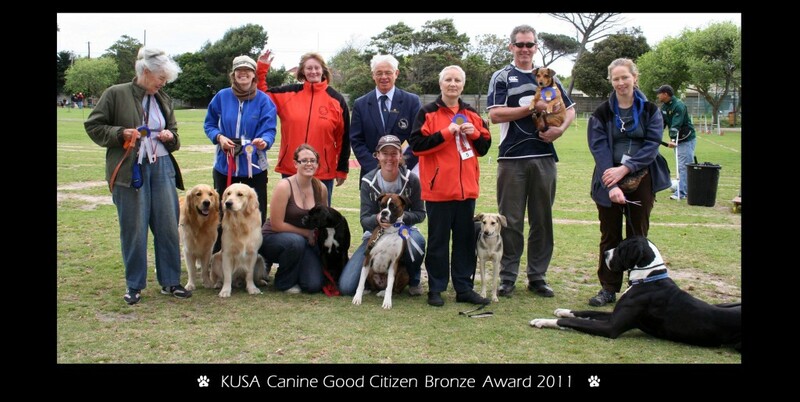 Congratulations to everyone who passed the Canine Good Citizen Evalutations on Saturday. Left to right Sandy Lindgren with Ben, Michelle Beck with Baxter, Juanita Roman with Amy, Jim Murray with Lulu, Trish Gates, Suzy Baurrichter, Samantha Carstens with Orca, Joan Reed with Murray, Nicola Du Toit with Sophie, Rex Koning. In front: Michelle Martin with Tara, Mari Ellis with Jack, Lindsay Clowes with Moya. From left to right: Joan Reed with Murray, Heather Hallaur with Timba, Trish Gates, Rex Koning, Rynette Louw with Juno, Jim Murray with Lulu, Samantha Carstens with Orca. Front: Casey Ward with Piper, Michelle Martin with Rogan.